Join the Woodland Gang online! 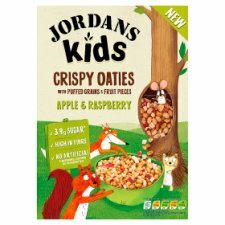 *Jordans Kids Apple & Raspberry is a source of iron and high in phosphorus. Iron contributes to the normal function of the immune system and phosphorus contributes to the maintenance of normal bones and teeth when consumed as part of a balanced diet and healthy lifestyle.